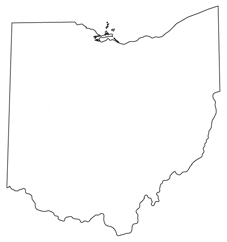 The estimated population of Ohio is over 11,466,900 with a workforce of approximately 5,976,500. Ohio is 7th largest state in terms of population. In places like Cincinnati, Cleveland, Columbus, Dayton, and Toledo, the demand for educated and trained Ohio computer forensics professionals continues to increase. Ohio has both campus-based and online computer forensics degree programs. Whether it’s an online computer forensics degree or a degree that is related to computer forensics, requesting more information from schools is a great first step towards a rewarding career. For Ohio residents, there are a number of computer forensics degree options available to you to get you career pursuit started. When it comes to standard operating procedure in computer forensics, every state has its own laws and procedures. Currently, Ohio is operating with regards to the Federal Rules of Civil Procedure Amendments. A draft proposal has been adopted by the Committee of the Commission on the Rules of Practice and Procedure and was submitted to the Supreme Court of Ohio for an initial consideration. The proposal does not include a mandatory meet and confer provision. The proposal is currently pending comments and a final decision by the Supreme Court. The United States District Court, Northern District of Ohio: ‘Default Standard for Discovery of Electronically Stored Information (“E-Discovery”): “The court expects the parties to reach an agreement on e-discovery, but states that if an agreement cannot be reached, the parties should designate an e-discovery coordinator in order to promote communication and cooperation*. In Ohio, individuals in the computer forensics field make far greater money than the average pay across all professions in the state. According to the United States Department of Labor, Ohio has an average state salary of $37,360 across all professions*. Computer forensics professions make more than double that figure at $76,000 a year**. Of course, as with any profession, the pay for computer forensics varies by the specific city you practice in. For instance, Toledo, Cleveland, and Columbus a computer forensic examiner typically earns a higher salary than in Cincinnati and Dayton**.